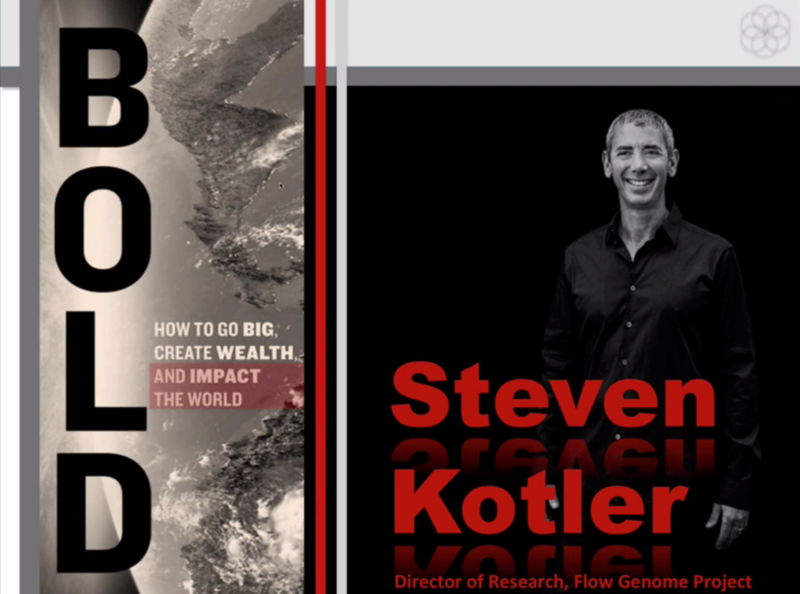 “Climbing Mount Bold” with Steven Kotler, co-author of the book “Bold: How to Go Big, Create Wealth and Impact the World” and Catherine Calarco, HeartMath Want to go big, create wealth and impact the world? In this intriguing talk, we discuss what it takes for individuals and organizations to scale up their game like never before. Bestselling author and ultimate human performance expert, Steven Kotler, provides a radical roadmap—backed up by extensive research—for using exponential technologies including the HeartMath® techniques and technologies, moonshot thinking and crowd-powered tools to create extraordinary wealth while also positively impacting the lives of billions. One thing is certain—there has never been a better time to be BOLD!